The most important feature in a web browser for me is performance. Extensions are nice and UI is relatively important to me as well, but at the end of the day it’s speed that I want more than anything else. I never want to feel like I’m being slowed down by anything besides my internet connection. In the past, this has meant Safari was the best choice. Both in terms of battery usage as well as overall web rendering speed, Safari smoked what else was on the market. But it’s been a while since I tested these browsers in any sort of scientific way, so here we go! While this was not a totally scientific process, I took my Mac, closed all open apps, and opened each of these browsers one at a time, and ran through the benchmarking sites one at a time and in the same order. To make sure the CPU didn’t get throttled due to overheating, I took about 3 minutes between every test to give the computer time to cool down. All tests were run 2x per browser. All web browsers were the most up to date stable build. My overall takeaway is that Safari still appears to be the fastest browser on the Mac, but not by nearly as much as it used to be. 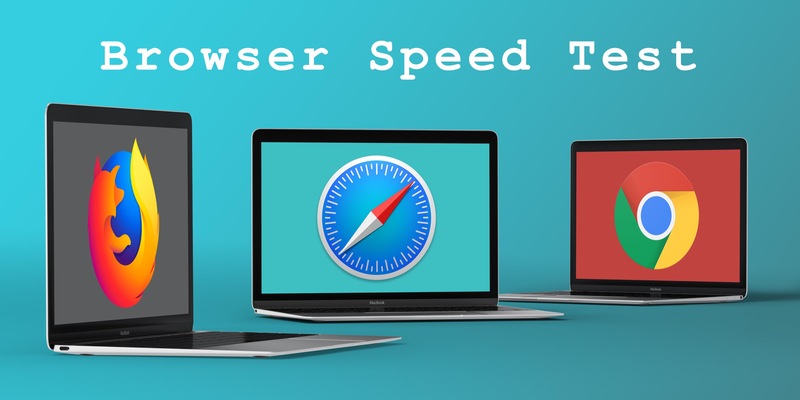 Overall, Safari was 6% faster than Chrome across all tests, winning 3 of the 5 tests. Vivaldi, despite being built on Chromium was overall 15% slower than Chrome. Firefox is still a dog on macOS. Safari was 177% faster and Chrome was 163% faster than Mozilla’s browser. Firefox may be fast on Windows these days, but it’s slooooow on macOS. The iPad is the real winner here, as it turned in average scores 26% faster than Safari for the Mac, 32% faster than Chrome, and 274% faster than FireFox. Yes, the iPad I’m using is 2 years newer than the MacBook Pro, but the iPad is running a mobile processor and cost less than half as much as the MBP. All this said, these are synthetic benchmarks and are not a perfect representation of how these browsers work in day-to-day use, but these actually line up pretty well with my general feeling for how these feel to use. Safari feels the most zippy, Chrome is good but spins up the fans a little more, and Firefox is slow. And again, all of this is playing for second because my iPad is far and away the most pleasant to use.